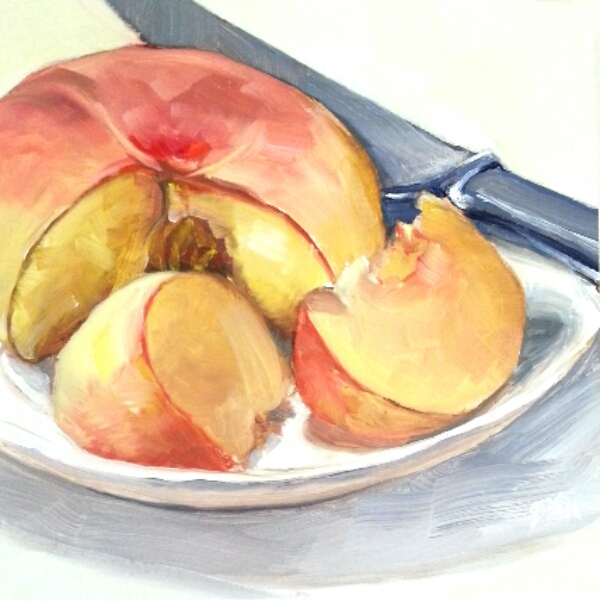 "Saturn Peach" oil on panel 6x6"
“Saturn Peach” oil on panel 6×6″ Daily Painting for 10 January. Painted from life. (1) select fruit (2) paint (3) EAT – Yum!